We that's a turn up for the books, two new British birds in a year. 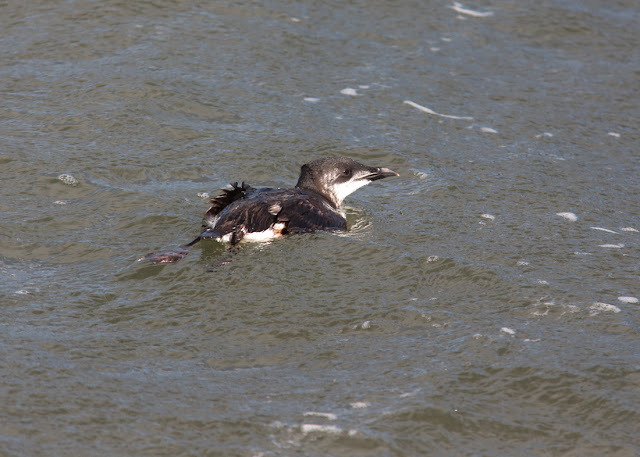 After last week's Thrush Nightingale, news of a mythical mega broke on Sunday evening when a Brunnich's Guillemot was found loafing around Anstruther Harbour in Fife. 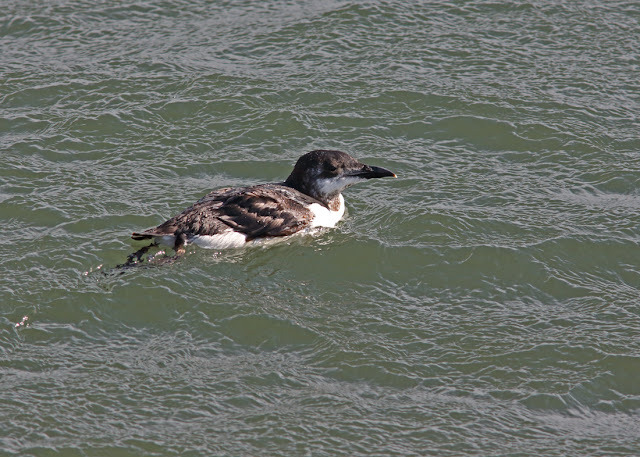 I have seen this species previously on a visit to Iceland, but to see one in the UK is very tricky indeed. 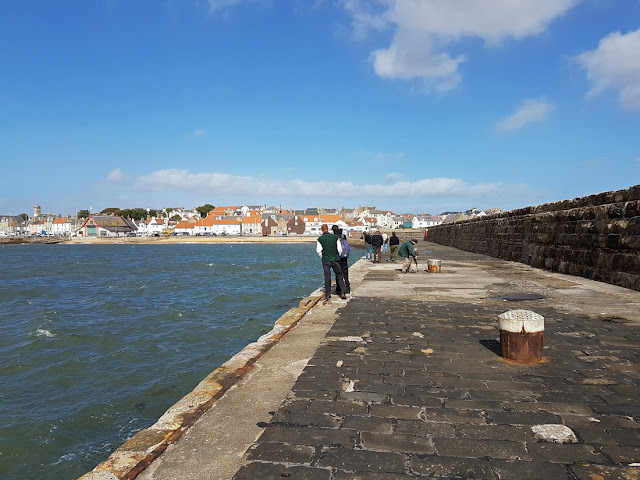 Many British records are of birds either dead or on the furthest outposts of the land such as Shetland or Dorset or wherever, way too far for me to visit in a day. Superficially similar to our own Common Guillemot or Razorbill, this auk hails from the far north, mainly above the arctic circle, only venturing south to winter in the very north Atlantic off Iceland, Greenland and Norway. 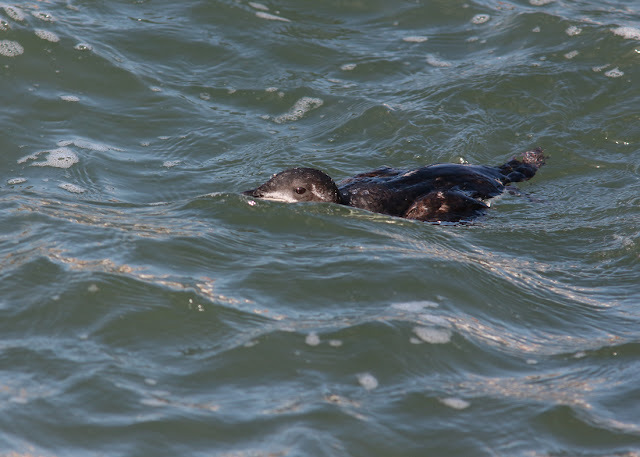 Today's bird, found by the great rarity finder, Ken Shaw I believe, has caused some controversy on social media with some naysayers mooting the possibility that it could be a hybrid between a Common x Brunnich's Guillemot, all because of a few white feathers around the cheeks. Personally it looks fine for Brunnich's to me, sporting a very thick, stocky bill, complete with white stripe along the upper gape, a lumpy headed appearance and clean white flanks. This bird is in very heavy moult into winter plumage with virtually no primaries left in the wings and looking quite tattered, so a few mangy stray white feathers are distinctly possible. After all, coming from a population of millions, not every single bird can conform to the generic field guide description. So, today Alan Tilmouth collected Andy McLevy and myself to drive the 150 miles into Scotland to pay our respects. 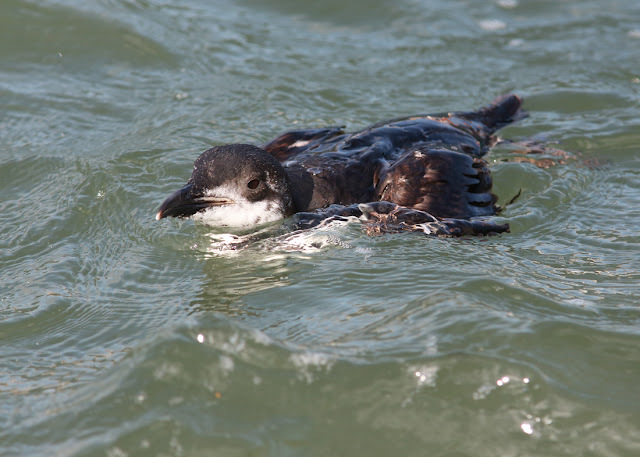 The bird was seen immediately but lead us a right merry dance, spending more time under water than on the top and swimming seemingly impossible distances before resurfacing in a completely unexpected location. Often it would pop up only yards away, only to vanish just as quickly. Strong winds and a heavy sea made photography very difficult ( that's my excuse anyway) but I managed a few. 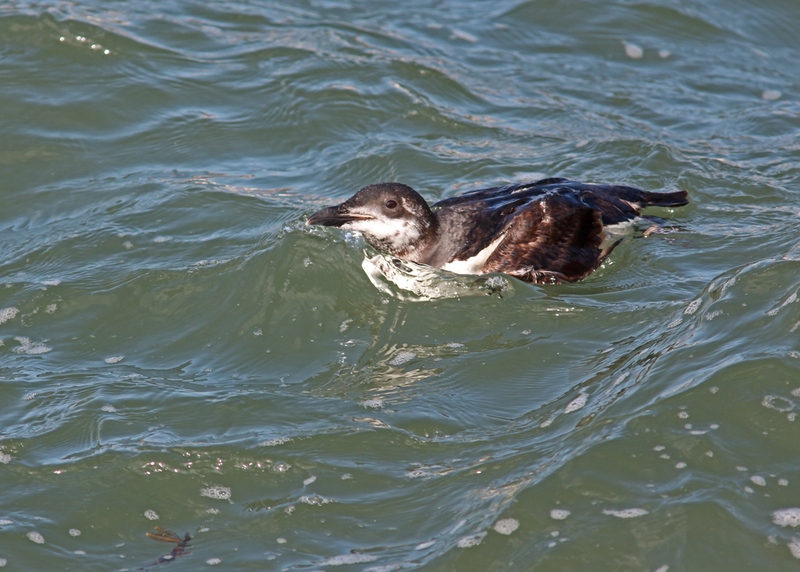 This was just about the only noteworthy bird seen all day, but it was well worth the jaunt north. Great crack, a great place and a great bird made for a very enjoyable days leave from work. 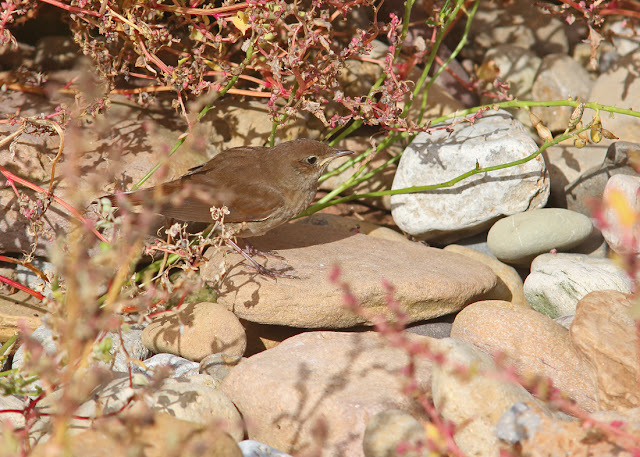 Or Thrush Nightingale to be more accurate. 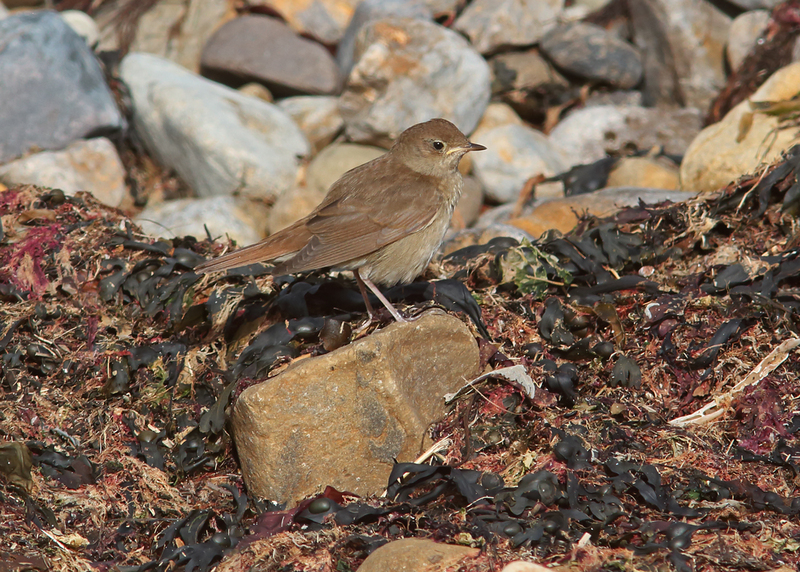 Since childhood I always wanted to see the bird sometimes called a Sprosser and wondered why it was called that? 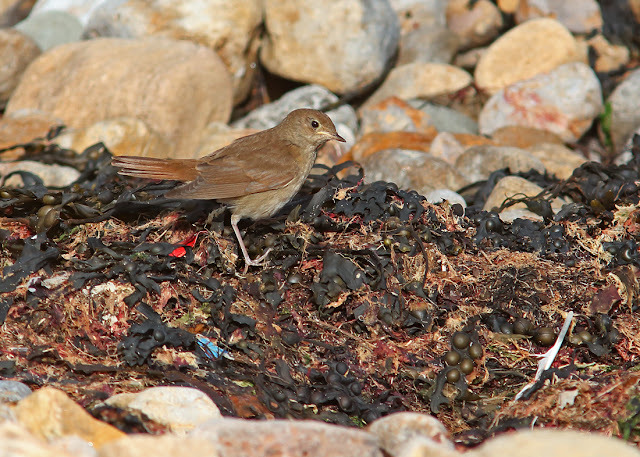 A quick google search threw me into The Leicester Llama blog where Andy McKay says it is just the German name for Thrush Nightingale and we should all have body parts removed if we dare use this word in an elitist type of way. 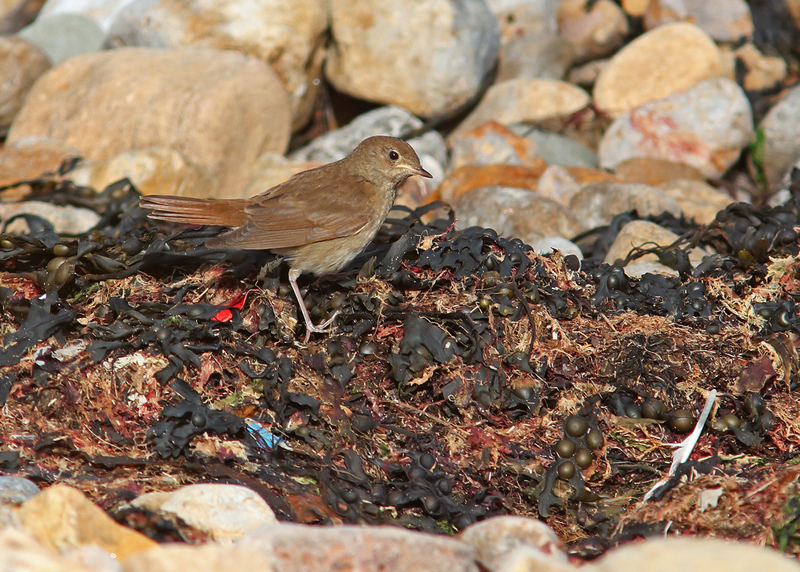 So Sprosser, you are now known by your Sunday best again- Thrush Nightingale. This morning a message came out saying that Steve Rippon had found a Sprosser Thrush Nightingale on the beach near Emmanuel Head, Holy Island. 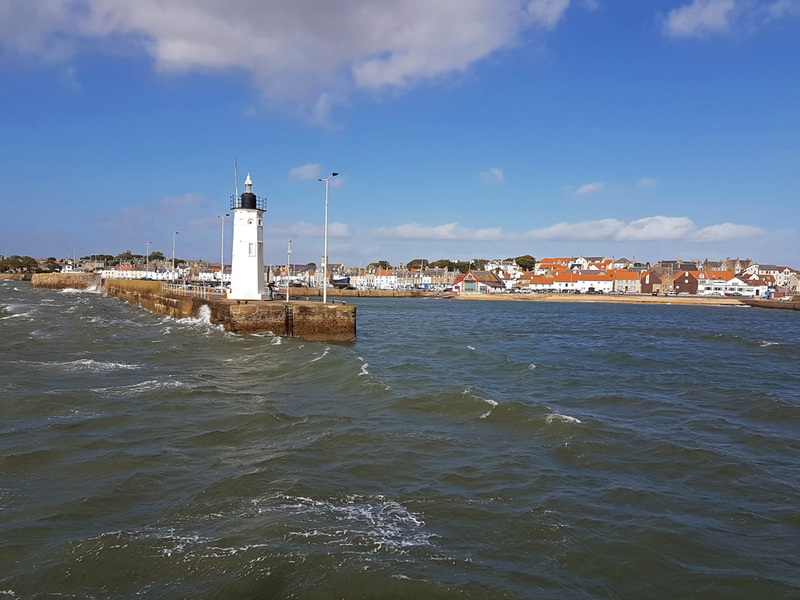 At first I thought, no chance, by the time I get there it will have been booted to the Snook and back and wont be seen again. Then a message came out with those teasing words 'showing well'. That was enough, into the car and off. Fast forward a half hour drive followed by a half hour yomp over rabbit pot holed dunes and we meet a well ordered team watching from a nice distance along the strand line with no bird to be seen. 'You should have been here earlier...' etc 'it hasn't been seen for a while but is still in that cover over there' were the comments on offer. A tense wait followed but sure enough our target popped out, furtively at first, then by deploying some Navahoe-esque field craft we all got great views of the Sprosser Thrush Nightingale as it ran mouse like over some stones to begin feeding out on the dry seaweed. 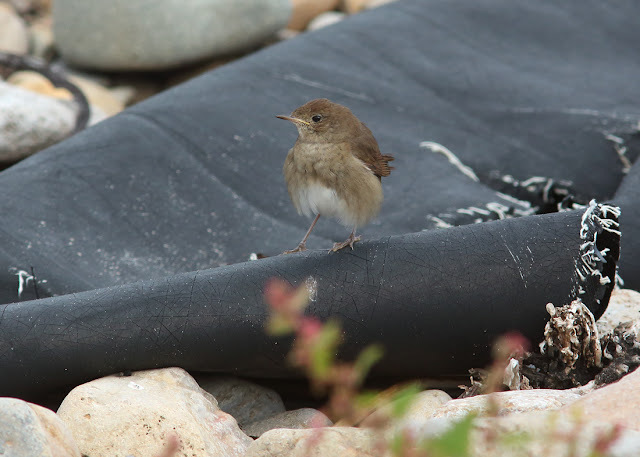 In some ways its movements recalled a Gropper Grasshopper Warbler as it lay flat and ran like a rodent between the stones and weeds. 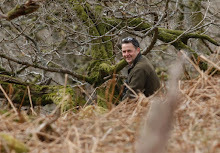 We all took lots of photo's in the open of a bird more used to sitting in a dark forest in Fenno-Scandia Scandinavia than out on a sun drenched Northumberland beach. This is a full lifer for me, never having seen the species in the UK or abroad so it was great to finally catch up with it. Nice for the county list too, my first since last September's Red footed Falcon! 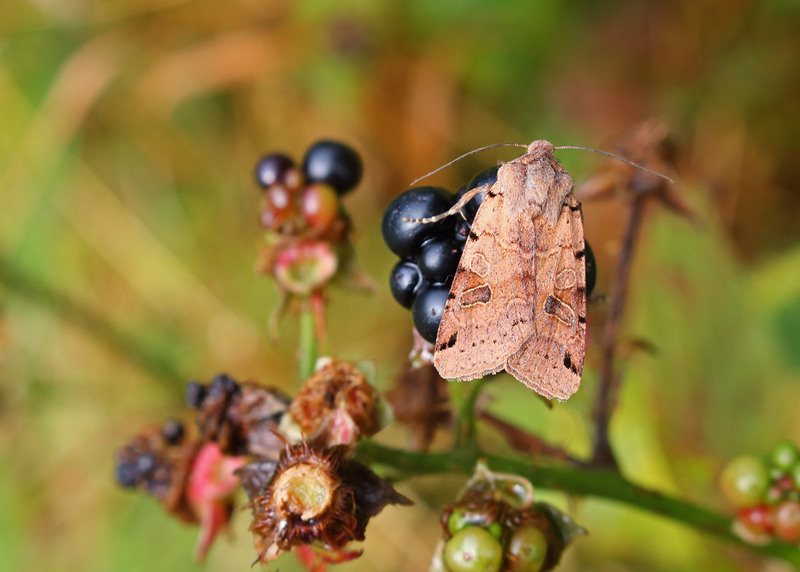 Now that many more people are becoming interested in moths and moth trapping, the internet and social media is saturated with images of the lovely insects being caught. Quite rightly, people who have never seen a Peppered Moth would be well pleased to find one in their trap in the morning, and are keen to capture it for posterity and to confirm their identifications with other like minded observers. But is it too easy? 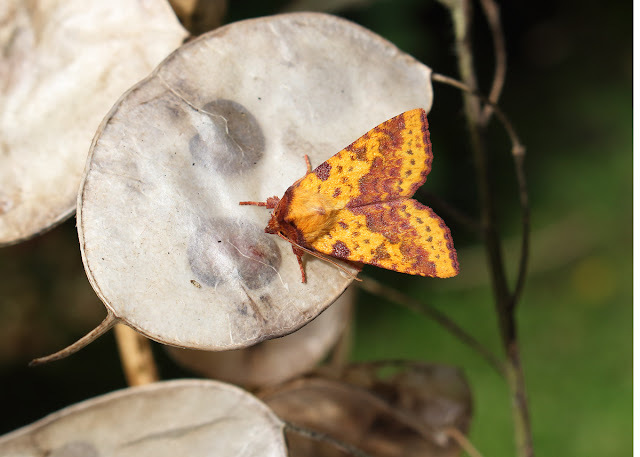 The reason I ponder this is that there seems to be little care taken over these images of stunning lepidoptera. I mean, when would someone catch a Red Admiral, put it in a plastic pot then take its photo above last nights edition of the Evening Chronicle? Never. It would look awful, seeing a beautiful butterfly against a scruffy bit of plastic wouldn't it, so why would a moth be any different? I even see photos of clearly dead and knackered specimens that have been just left through neglect. Even common things with legs in the air, there's just no need. Now, I'm not preaching here( maybe I am a bit) because I too am guilty of this. We all are to some degree. 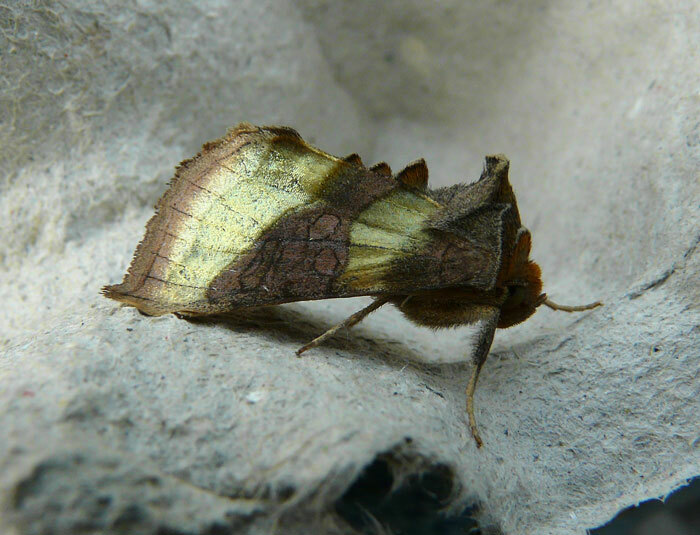 Scroll through these pages and you will find moths on old egg boxes and through dirty old pots, and I suppose this will happen for those species that are rare or locally scarce needing a record shot before they fly off. 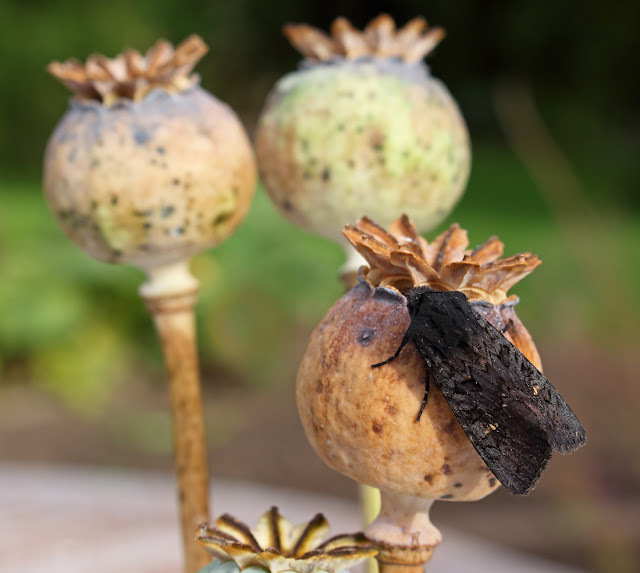 But why on earth would you take a photo of a Buff Arches or Poplar Hawk-moth on an egg tray? You cant get them to fly if you try so why not just take a few minutes to make them look as nice as any butterfly by positioning them carefully on a nice background. Both of these are common enough here, so I could have done better than this surely. 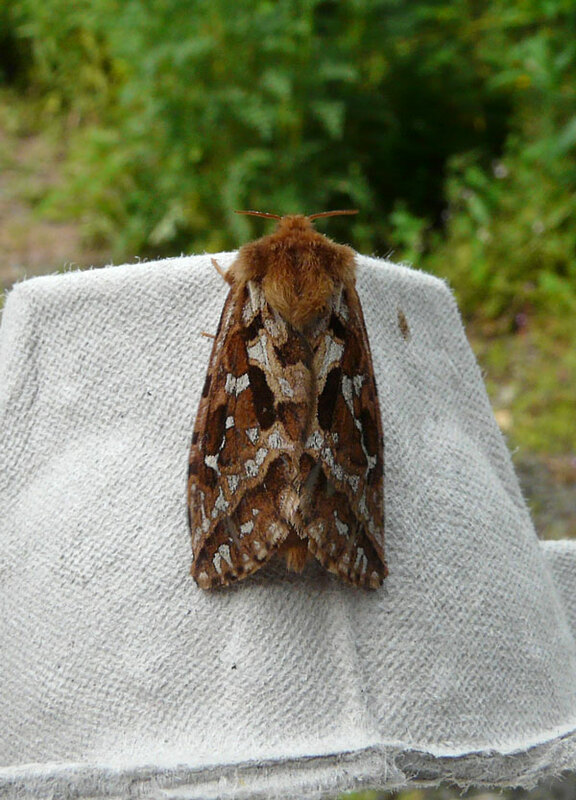 If you catch moths why not try this - look for any nice fresh specimen in your trap, something that may catch you eye. 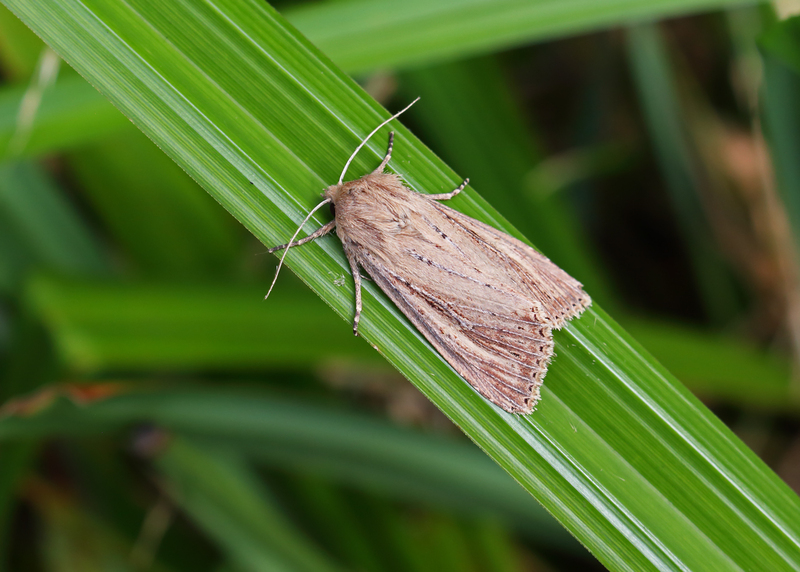 If the weather is nice with some good light, use a small stick or something ( I use coffee stirrers, like thin lolly sticks) to gentle slide under the moth, and lift it somewhere that will show it off to its very best. This can just be a large flat leaf or a bit of twig, what ever, experiment with different things. Some will work, others may not, but its worth a try. 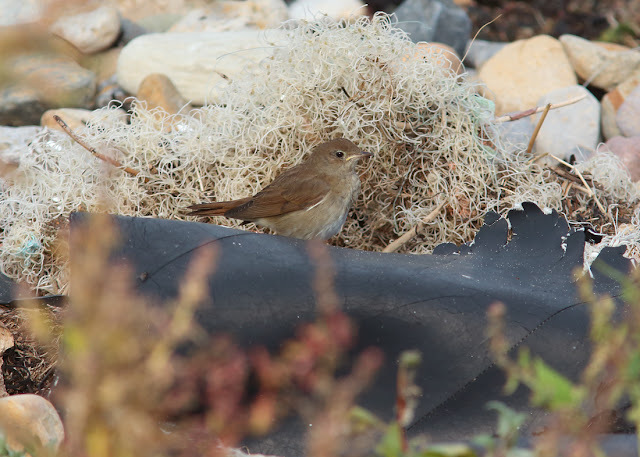 So, I will say that from now on, I will only post crappy egg box shots or pot shots on here of a species that a) It is likely to fly off or b) I've not seen before or is new for the garden and is likely to fly off! Otherwise I will be trying to get something decent of it. You don't need expensive camera gear, even a phone will do if you just take a little more care. 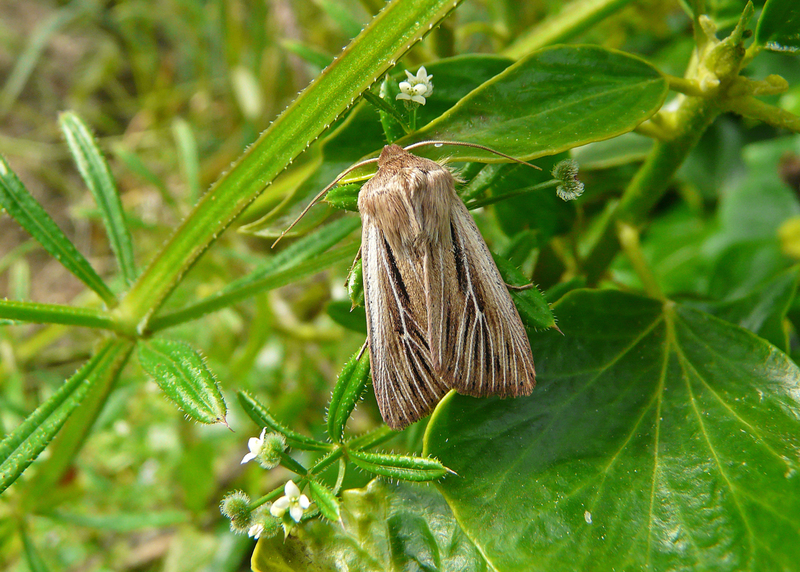 Shoulder striped Wainscot from the summer. 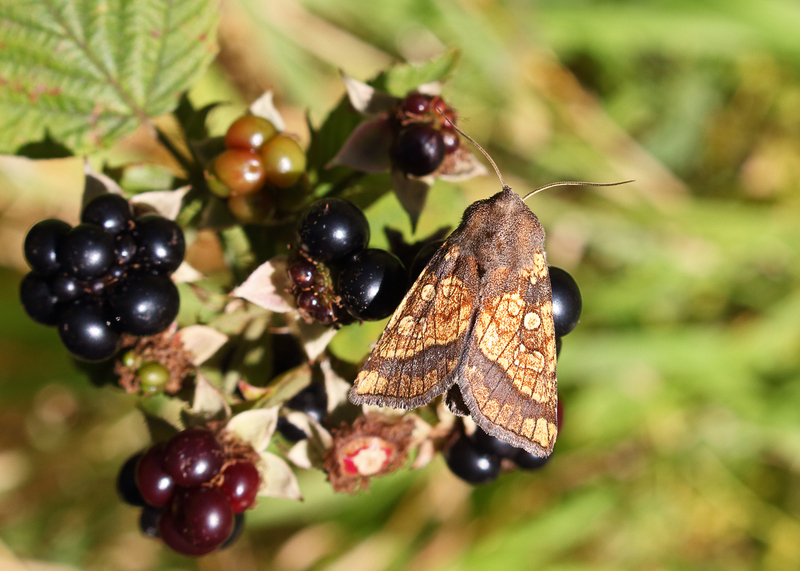 Above - An autumn selection box of Pink barred Sallow, Frosted Orange, Brown spot Pinion, Black Rustic and Bulrush Wainscot. Next time I post a micro in a hairy scruffy dull plastic pot, feel free to chastise me. We should really try harder!